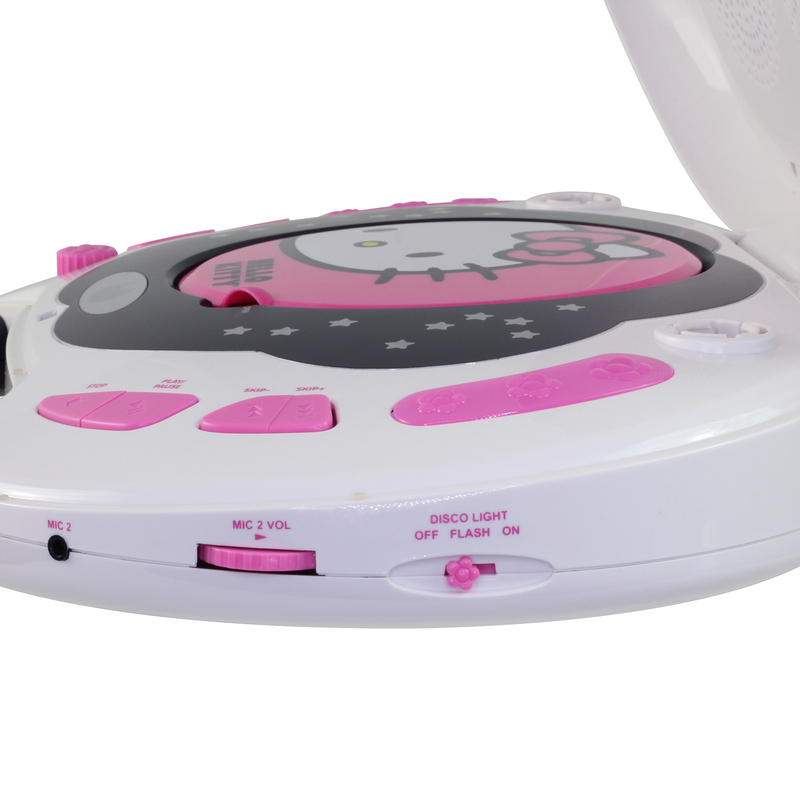 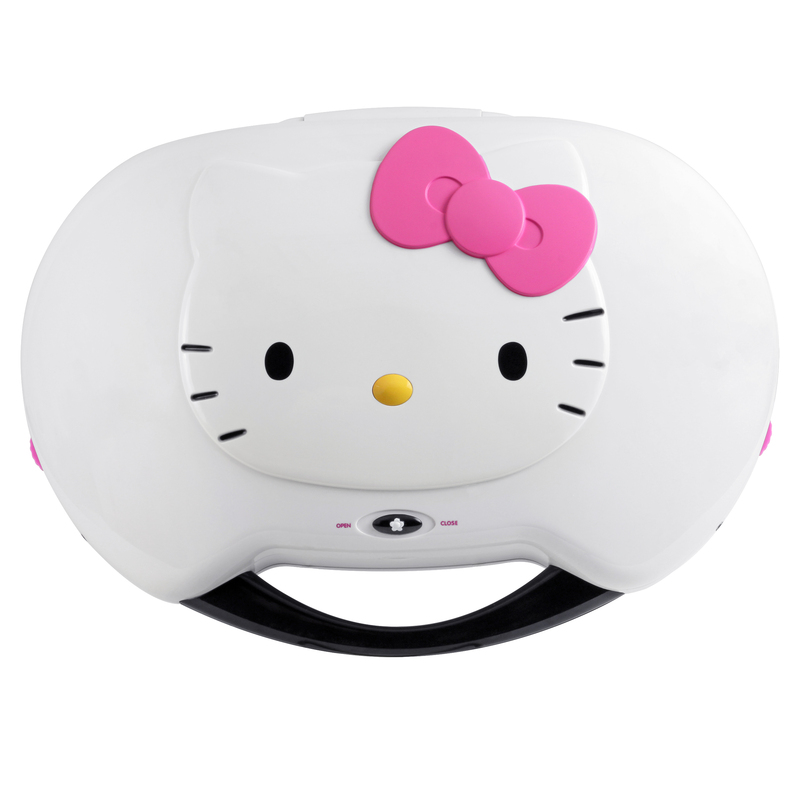 Show off your singing talents to your friends and family with the Hello Kitty karaoke system/CD player. 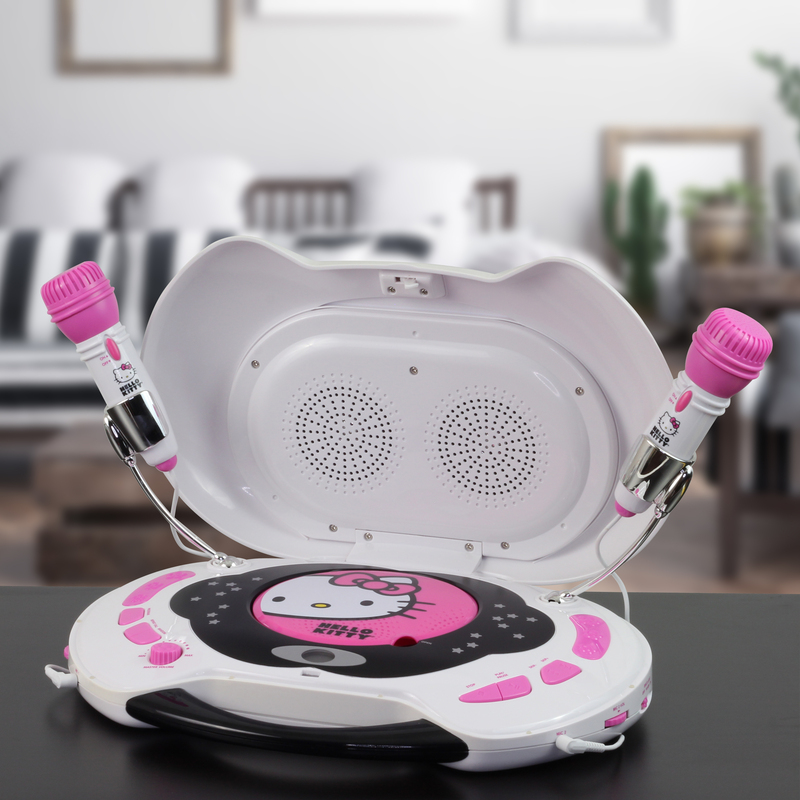 You, and a friend, will be able to sign along to your favorite CD’s with the pair of provided microphones while your audience enjoys the results of your efforts through the pair of 3” speakers. The CD player is filled with features like repeat and random play and is CD-R/RW compatible to handle virtually any homemade CD audio recording you might have in your library. 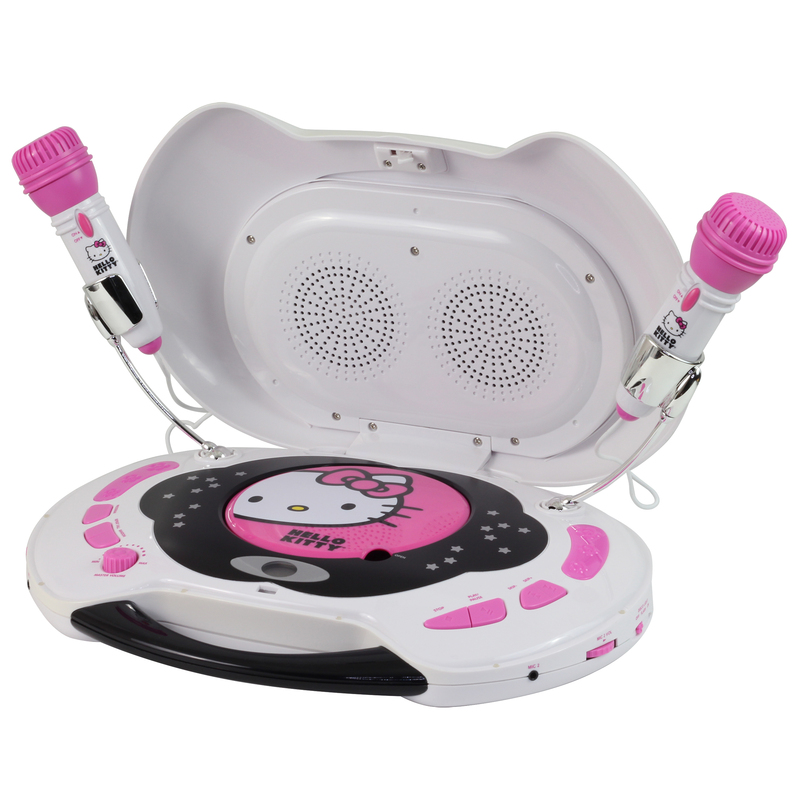 To add some visual enhancement to your performance, make use of the built-in flashing disco light.